New to salmon fishing. In my beat, the spinning is allowed, and a very effective method. I think Rapala is the good lure, but too expansive to buy. I'm using Fly'c at the moment. any idea for the following lure? is it worth to have a go? any information is appreciated. Cheers. 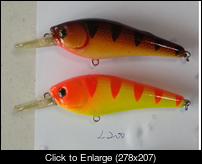 Those look like Pike lures going by their design/Thickness etc. Also the vane would suggest a deep diving lure, that may be unsuitable for some shallower streams/runs on a river. But why not give them a try, if you manage to present one on the nose of an interested salmon, don't see why it wouldn't take it. Not cheap TBH, but they do seem to be effective. Thanks. It is not cheap. how about these ones, please? Thanks. I would imagine that most of the members of this forum are predominantly fly fishers, so you may not get too many opinions expressed. For my own part I think that these multi hook lures should be banned, particularly on rivers where the fishery boards such as the Don request the return of as many salmon as possible. A fish hooked on one of these rapala type lures is unlikely to survive the unhooking process unless of course the hooks are all debarbed. Are all the hooks that you use on these lures debarbed ? I agreed. I haven't used these lures, but I won't use 2 set hooks. just one at the end. the manufacture will supply a triple hook, I'm thinking to change it to a double hook, but I haven't tried (it's really easy to change it). I guess it will be fine. I'm using Fly c sometimes denpens on the water level (triple hook), thinking to change to double hook as well, but not sure if the supply can do it. will ask when I order it next time. Regarding debarded, it depends on my wife, if she doesn't want me to bring a fish home, why do I need a barbed hook? I like fishing, but don't want to kill them. I found there were lots of people didn't like lures, I guess the reason is the hooks. if we can change these hooks to a double size 6 or what ever, do they still want to ban it? I started fishing last year, most time were looking for trout, but blank most of time. bought a fly rod for salmon this year, so far one kelt on fly, one grilse on spinning, believe or not, I haven't caught any trout this year even I tried more. It's difficult for me to say which one is better. will have a fly lesson later, hope this will help me to catch more on the fly. Back to my question, do you think if it worths to buy if they are £3 or £4? or just go for Rapala? Cheers. If you must use a lure, use one with minimal hook sets and debarb the hooks yourself using a pair of pliers. You will do far less damage to any fish you catch and wish to return alive to the river.You can also debarb your Flying C's yourself. I suggest you proceed with your flycasting lesson/s and try to use the flyrod more often. 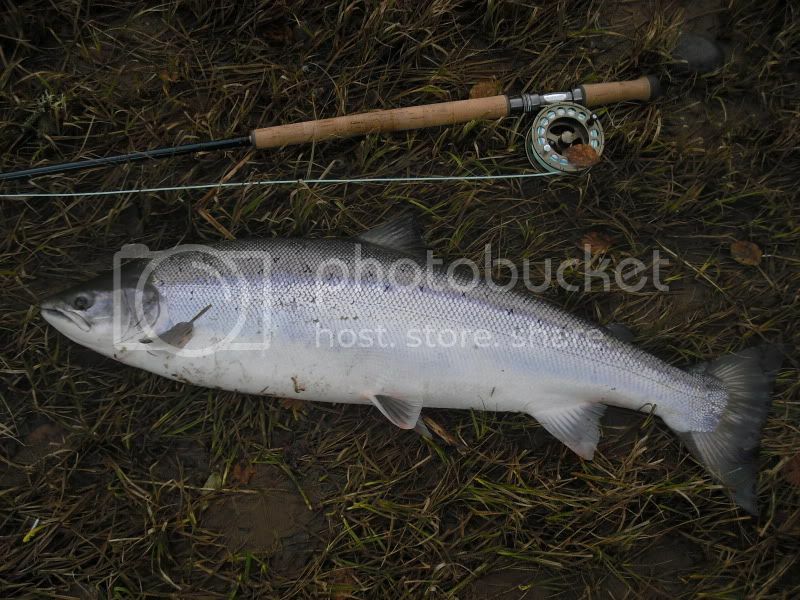 You will find that when you do catch a fish on the flyrod it is much more satisfying and a lot more sporting. I used to spin a lot for salmon in my younger days but never use a spinning rod now so my advice is to persevere with the fly rod, even in high water levels. You will get a lot more enjoyment once you have mastered the fly rod and will be able to return the fish you catch more easily as well. Save your money for a few salmon flies.There are others on this forum who can advise you on what flies to use for salmon on the Don although I don't think you would go far wrong initially with the Cascade and Silver Ally in various sizes. In low water conditions the Stoats Tail is a good standby. Ask the local anglers for help if you are unsure. Hi is it the don ur fishing ? If yes where abouts i recently joined the adaa. Yes, but I'm not a member of ADAA. I'm in Kemnay angling club. the beat before the kemnay bridge. If you want to know the beat, please let me know. Cheers.